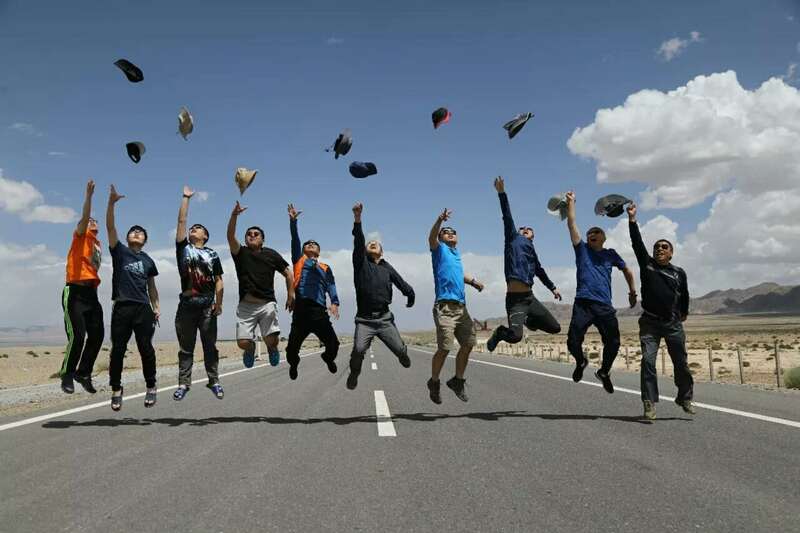 Do you bear a “Tibetan Dream” where you are able to leave behind metropolis and mundane everyday life? The Hawk Team from Sino-Galvo Technology Co., Ltd. was leading up the way into grandeur and sacred Tibet, commencing a thorough exploration into this mysterious place. Mountains, rising snow tops and prairies, stand sentinel to guard this holy land with canyons slitting through and sinking deeply down between them. 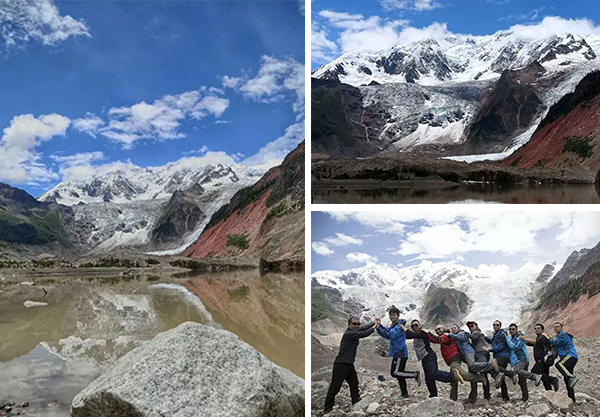 This was where Sino-Galvo Hawk Team started their Sichuan-Tibet journey on July 9th, 2018. It was never an easy trip when it was getting wet and rainy in July. But as reward, you would be overwhelmed with no doubt by nature scenes as well as folk culture heading westward from the rich city of Chengdu. You would not take one single picture without mountains on it. 21 mountain passes looking down from over 4,000 meters above the sea level. Mountaineers in Hawk Team took this challenge in the flesh by plodding the hard way up to where the clouds were arm-stretch away. When they proved to the nature by reaching the snow-capped and cloud-shrouded land of Asgard, the world was at their feet. Breezes skimmed across their faces like whispers from the God. Grandeur as mountains, Sichuan-Tibet line boasts glassy lakes as well. These lakes are like pupils from the heaven, full of wisdom. Qinghai Lake is the largest inland and salt-water lake in China. When the sun rose just above the horizon and first golden rays swept through the surface of the lake, mountaineers got shocked and stumped for words. At Namtso, the lake broad as seas, with Marnyi Stones and colorful prayer flags along side, gave out irresistible attraction toward our team members. It was a huge mirror which took root on the grassland in northern Tibet, reflecting the high peak of Tanggula Mountains next to it. This is a place of thousands of legends, where people can rest their souls. 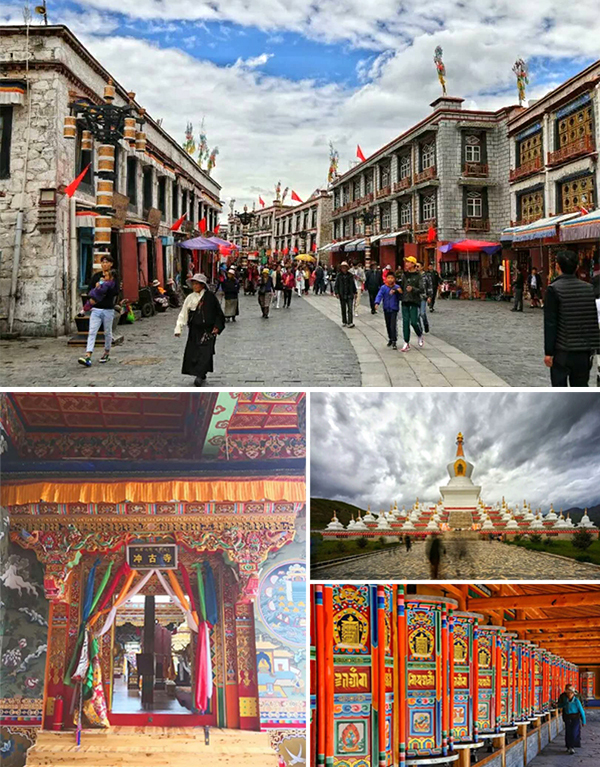 Along the line, there never lacked youngsters from modern cities looking for a mentally resting place, Tibetan children greeting visitors, monks coming from everywhere to worship what they believe. Shepherds leant against their motorbikes watching the flocks grazing in their own humming songs. Seniors prayed along their ways toward the holy destination of Potala Palace. Hawk Team members perceived peace and happiness, and the touching devoted minds. 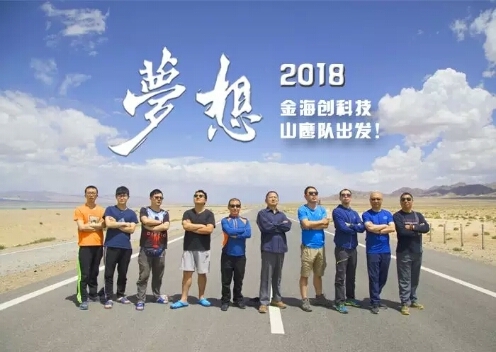 In 2018, Sino-Galvo Hawk Team covered 2,140 kilometers on Sichuan-Tibet Line in the caprice of weather and terrains. On the arduous journey, Hawk Team strode firmly to the top. They unfolded spectacles that satisfied the eyes, and even more the devotion in overcoming any difficulties that stood in their ways. This concluded the 18-day journey of traversing Tibet. The road, at the feet, stretches far toward the snow-capped plateau. 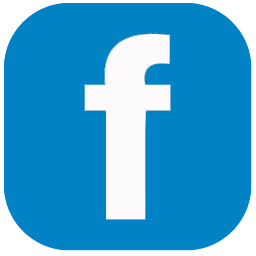 We vow to carry on, stepping ahead to where we have planned for out of conviction. We look things in bigger picture because we stay up high. Hawk Team, keep moving! Now that the trip has come to an end, Sino-Galvo is still on the way in pursuit of our dreams. This trip is like a beacon, steering us clear of the difficulties, in heading up toward the goal of becoming the No.1 brand of galvo scanner manufacturer globally.